We spend long hours on our chairs behind computers. According to statistics released by BigThink.Com, people spend an astonishing 7709 days of their lives sitting! If we consider that eight hours of this is spent at offices hunched over a computer, then it’s clear that it’s vital to have good office chairs. But, what are the consequences of a bad office chair? 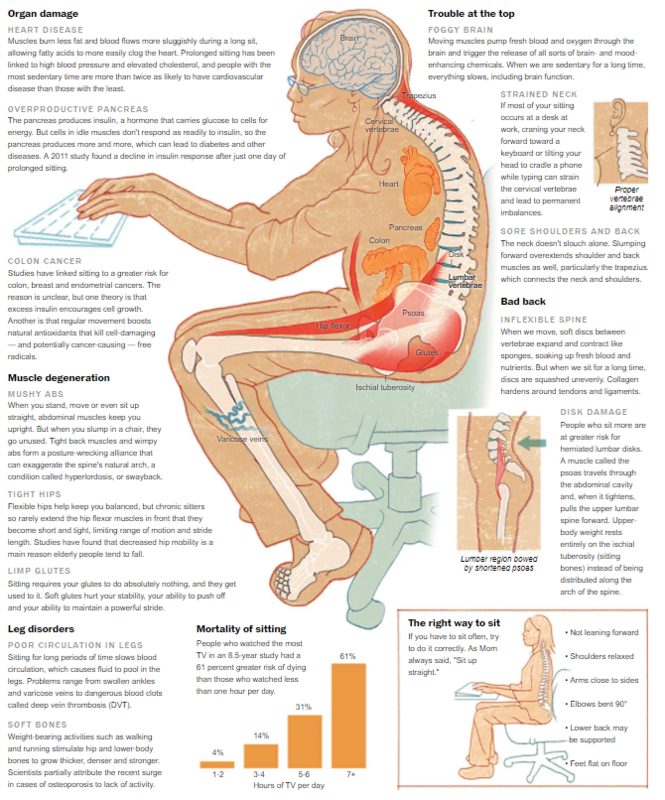 Says Forbes, “The central message of the researchers’ studies is this: the more time you spend sitting each day, the greater your chance of dying within the following three to 15 years (depending on which study you consult).” Apart from affecting posture, causing fatigue, head and neck pain, a bad office chair is unhealthy. Believe it or not, a bad chair can affect the blood flow in your body. If your chair is not adjusted properly it can cause poor blood flow to your shoulders, legs, back and neck. Says Forbes, “The less obvious reasons are more immediate, including a rapid drop in a circulating blood enzyme called lipase that is responsible for breaking down fat. One study puts this drop at 90% — a virtual shut down.” The reasons this is a cause for concern? “Bottom line: if your job requires sitting for long periods, you have twice the likelihood of developing cardiovascular diseasethan someone who doesn’t sit all day. You can offset that risk somewhat by exercising regularly, but the hours in your chair will still take a toll. Add to this that most of us also sit a fair amount when we aren’t at work, and the problem only gets worse,” says Forbes. A bad office chair may result in lack of concentration simply because being uncomfortable will distract you. The more your time will be spent finding a comfortable posture for your body and adjusting and re-adjusting your position to get relaxed. And this makes complete sense. 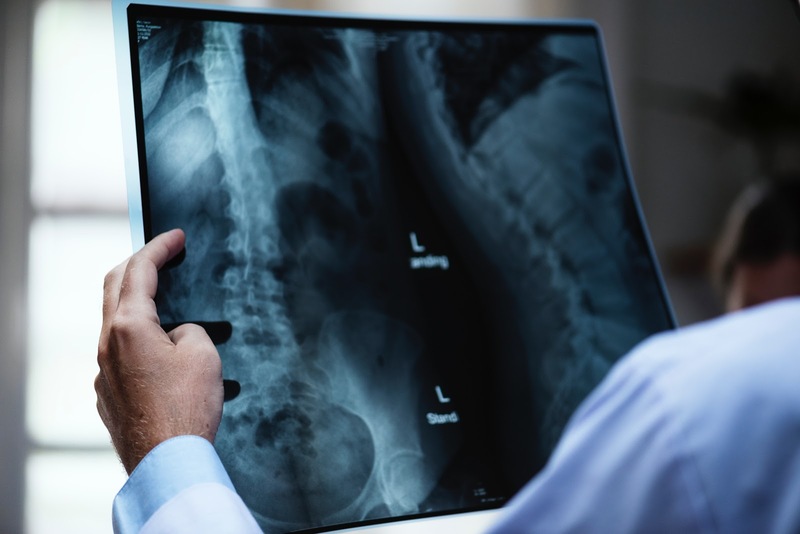 When your spine is not in alignment, the rest of your muscles have to compensate to help you stay upright, as noted by the National Health Service. This can lead to feelings of increased fatigue and what the Washington Post calls a “foggy brain” from a lack of fresh blood and oxygen. Believe it or not, sitting still in a bad office chair may lead to indigestion. As you may know, digestion plays an imperative role in keeping the body healthy and fit. The food will reach the cells of the body only if it is dissolved properly in the bloodstream. Sitting idle in an ill-fitting chair for many hours can slow down this process. In conclusion, a bad chair not only affects your performance, but also your health in all too many ways. If you have a desk job, it’s important to note when your chair needs replacing and invest in a good quality chair to avoid the problems mentioned above. Another good idea? Get up and go for a walk!